I am a mom, daughter, sister, friend, traveler, and artist. I dwell in the tree filled suburbs of Colorado. By day, I work in Information Technology (aka: Computer Geek). In my previous life, I was a Graphic Designer and have a BFA in Graphic Design. I spend most of my free time making art or thinking about making art. Trees seem to be my “thing”. At work, meeting notes often grow branches and sprout leaves and suddenly the doodle becomes a tree. I started researching trees and circles to find a deeper connection to my art. I learned the Greek word, Temenos, which means "a sacred grove of trees." Carl Jung believed that these sacred groves of trees were magic and safe spaces to find your unconscious and to figure yourself out. Trees are my safe space. I do lots of mental work while I draw and paint. Drawing lines is a meditation where I often encounter my unconscious and lose time. I find myself in making and sharing my art. I paint happy trees filled with magic circles. My hope is that the trees that I create find homes where they can help create sacred spaces. I am inspired by my daughter who is full of love, joy and confidence. She drives me to be brave and to live this life to the fullest. I love to travel and want to see the world. I hope selling my art can can help support this passion. I enjoy learning about culture and food. ​I relish our differences and am surprised by our similarities. My best friend Jamie and I went to college together and are travel buddies. 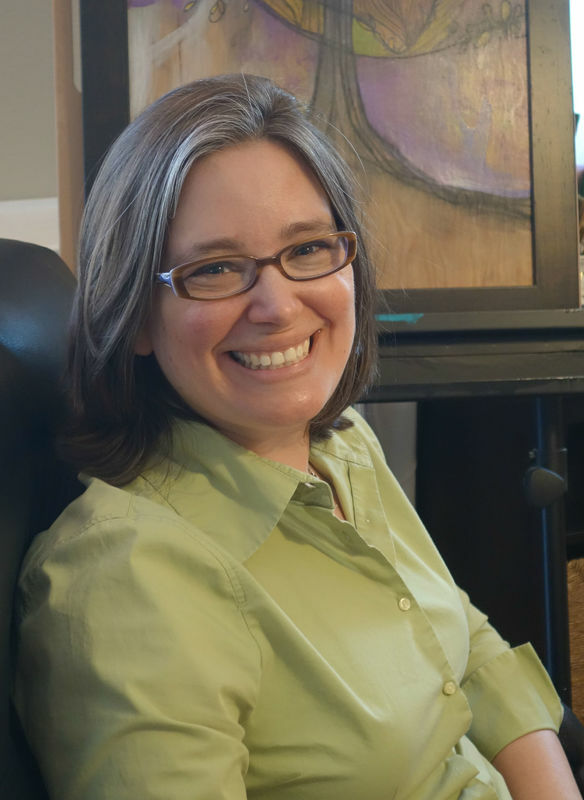 She is an awesome photographer and took a bunch of photos for my website. I am so grateful for our adventures and for her husband, James, for giving us the time for our crazy adventures! I battle my internal voice more often than anything. I call her "Fear Beast" and she screams loudly and often. But she will not keep me from my dream. ​My dream of making art. I collect quotes and children's books, sketchbooks and art supplies. Hope to one day create a children's book. ​I strive to be a collector of beautiful, present moments. I am thrilled to have a large dedicated space for ART! I converted my living room into my art studio, complete with a beautiful 8 foot table. 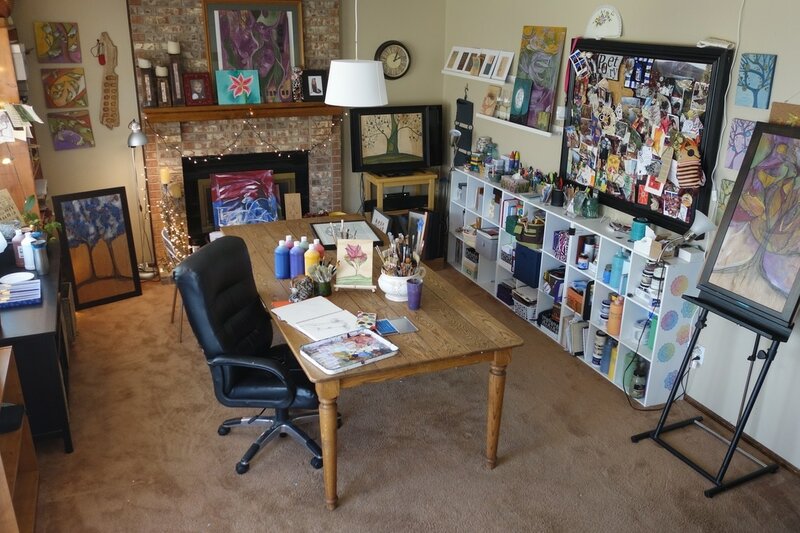 This space is filled with love and has plenty of space to create multiple projects at once. Plus there is room to spare for making art with others, like my daughter who loves the hot glue gun. And more recently this is the space to host Art for Giving parties. This inspiration board was made by my sister. It lives in my studio and looks like chaos. dreams, hope, love, silliness, wisdom. ​The past, present and future are ALL tucked in here.